It’s an engaging story. Twenty-something sisters, Shari Hammer and Cyndi Ritger,wanted to hang with their young kids and make a living. One day the young women were out shopping and spotted a mattress (what is now called a futon mattress) displayed on the floor of Depth of Field. No frame. Just mattress. A new piece of furniture! Discovering there were only black and white covers available, Shari and Cyndi figured this mattress needed some style and color. Whoa! A perfect opportunity for two smart, stylish, artistic and energetic young women. Around this time, the Futon Association formed, and it was tiny. Shari and Cyndi were able to swing a trip to its second tradeshow in Montreal in 1987. In preparation for the show, the sisters haggled three fabric samples from a mill. Then they promptly sewed the samples into three covers. To increase the options, Cyndi and Shari hand painted futon covers to market at the show. The retailers (lots of groovy people) wanted to buy the new product, the futon. (This show displayed one of the first convertible frames.) And they were thrilled with SIS’s product: Wow! Covers for the futons! Shari and Cyndi returned home with a handful of orders. They set to work sewing covers in Cyndi’s basement and hand painting covers in the backyard along with changing diapers, wiping noses and kissing booboos. Between 1988-1990, the futon business exploded, and SIS was in the middle of all the excitement. Eventually, Cyndi left the business while Joe Hammer, Shari ‘s husband, came on board as CFO. Because of his strong belief in Shari and SIS Enterprises, Joe was willing to give up his successful career in finance to help move the business forward. 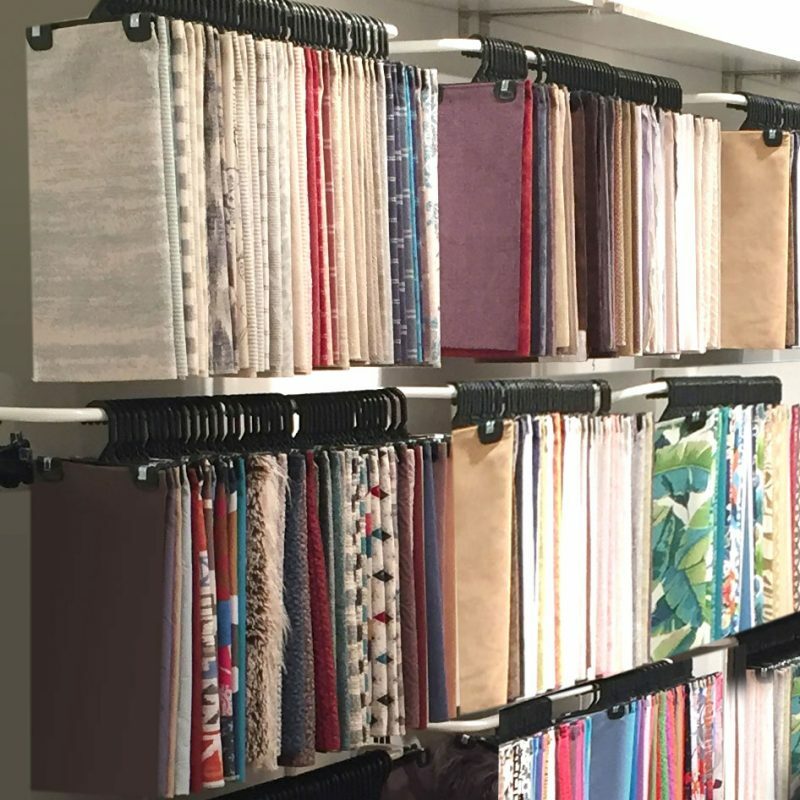 SIS’s space has grown from 800 square feet to 76,000 square feet and from stocking 150 yards of fabric to 500,000 yards of fabric. SIS has also expanded its product line to include daybed covers, top of bed and window treatments. 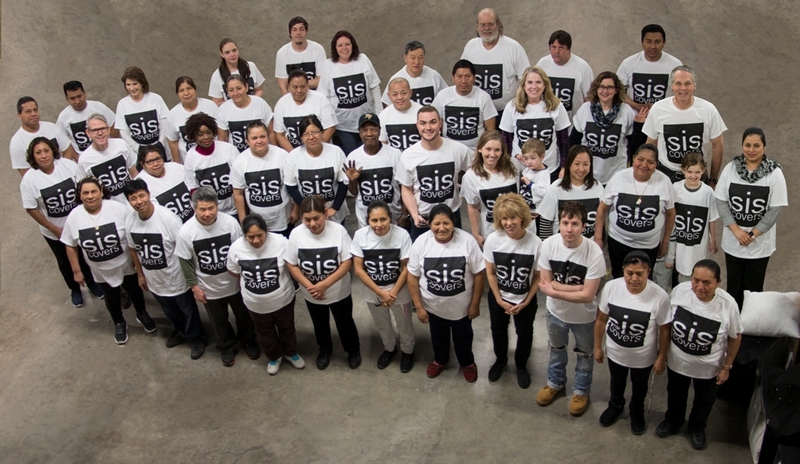 SIS Enterprises’ history of hard work, good decisions and artistic flair has helped it grow into a key component of the still-burgeoning international futon industry. Siscovers is on the cutting edge. Our products always reflect current color and design trends to suit your mood and personality. Fabrics are updated every six months. We consistently source new fabrics, see trends, sets trends. We provide a knowledgeable staff to help you coordinate fabrics and products. The design possibilities are endless! We keep more than 400 fabrics in stock, so we ship your order quickly. Siscovers guarantees all products to be of the highest quality. If you’re not completely satisfied, we make things right. We provide LIVE customer service. A real human being! Our employees are of different colors, cultures, languages and customs. All are treated with appreciation and respect.